We had our first Insagram live chat with Amaka Chika Mbonu on Tuesday and if you missed it, we can tell you for free that you missed a lot. Aside from the fact that we thoroughly enjoyed the conversation with Amaka, those who joined the live chat had the opportunity to ask her loads of questions which she responded to in detail. For those who missed the chat, and even for those who caught it, we decided to do a recap and also highlight the salient lessons learnt from that interview. What the chat was about? 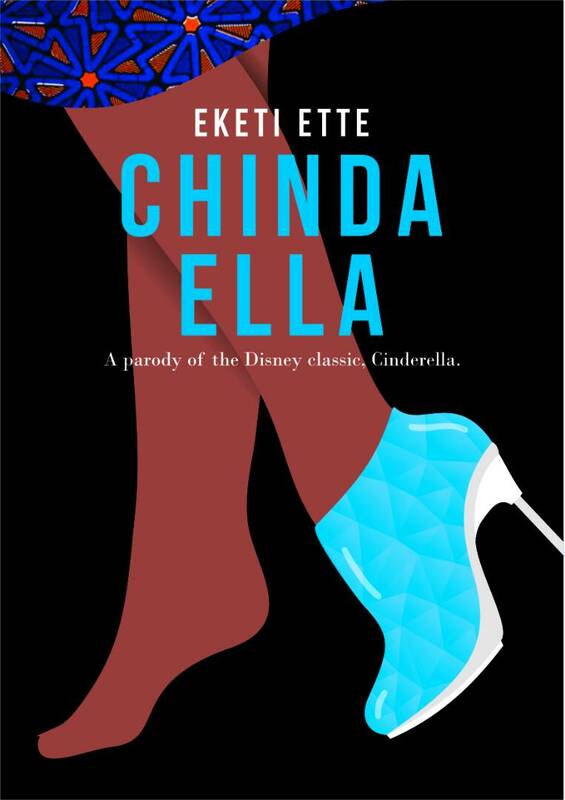 If you remember we featured Amaka Chika-Mbonu on our #WriterSpotlight series last year, when she released her book, ‘How To Get Your Wife To Swing From The Chandelier In A Red Negligée’. Amaka recently celebrated the first year anniversary of her book and we wanted her to share her journey with us. During the chat, she mentioned that it took her 18 months to write the book. Can you believe that? Follow your heart and take your brain with you. If he doesn’t have integrity, core values and skills that align with you, then it won’t work. Take the bull by the horn, and don’t be hindered by the culture of silence that tries to shame a woman. Look well before you leap. When two entities (people) come together, there must be rules of engagement. Go for your dreams, get yourself together and go for it. Keep on doing what you’re doing and keep going not matter how challenging the journey may be. Use social media – Social media is a friend to someone with a low budget. Also find a team who can help you in marketing, so you can make money off your intellectual property. Be passionate about what you do. Passion counts better than expertise. You have to be convinced in your heart about things you do. You should get to the stage where you can just go for it. There is a purpose behind every pain and there is treasure to be found in darkness. We hope you enjoyed this. Don’t miss the next chat and if you have not registered for our writing class, what are you waiting for? We have just a few slots left. So register as soon as possible! Farafina Books Call For The Submission Of Manuscripts. 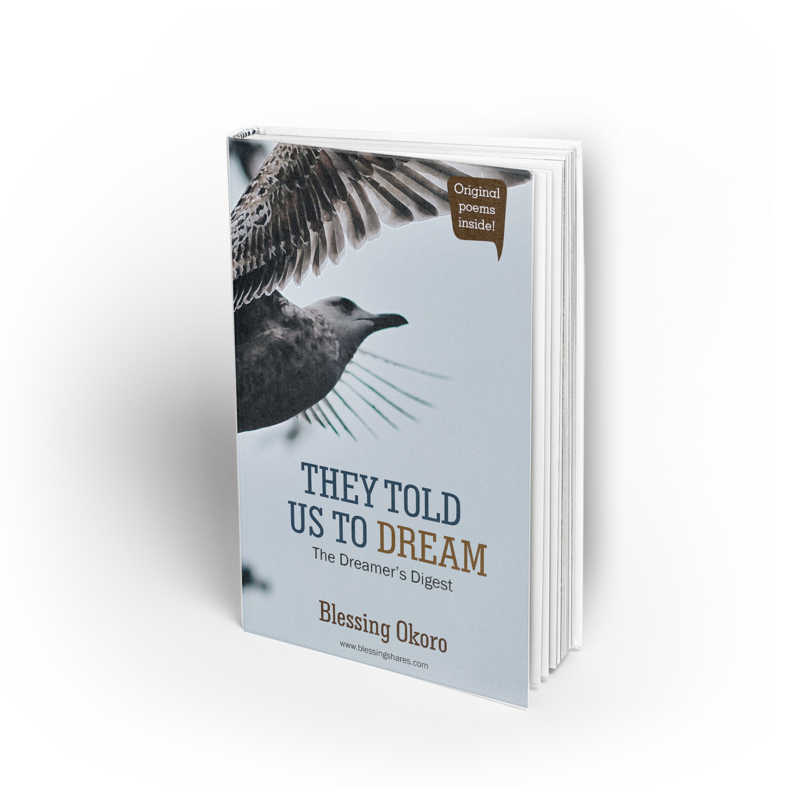 If your dream is to get published someday. then this is for you. Getting published has a way of pushing a writer into limelight, and gives the writer the opportunity to get his or her work reviewed and criticized. Every good writer deserves to have his book published, and every good book deserves to be published. We all know the stress and struggles involved in getting a publishing house to publish a book, that is why we are excited to share that Farafinabooks is making it easier by calling for manuscripts. So if you are a writer and you have been searching for the opportunity to get published, then here’s a big opportunity waiting for you to grab it. This is a great opportunity to finally make your publishing dream come true! Have you written a great book and all you need is help to publish send your manuscript now. It’s better to take the bold step now than regret later. This entry is open till the 31st of March. It’s time of the year again where new winners for The Writivism Literary Initiative prizes will be announced. Ahead of the much anticipated 2018 edition of the event, the Writivism team has announced the six judges for the short story and creative non-fiction prizes. 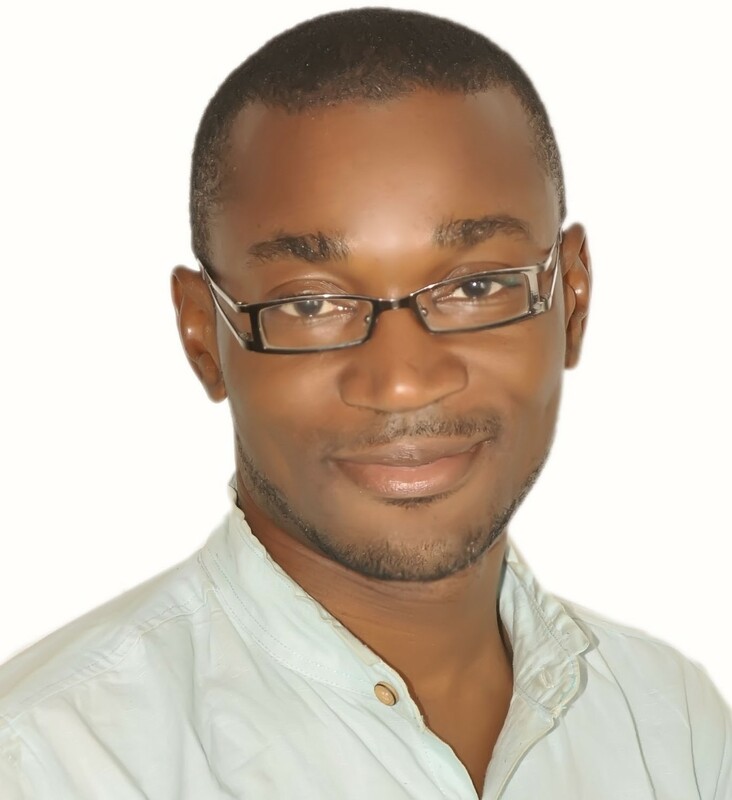 The Short Story prize panel will be chaired by Shadreck Chikoti, a writer, publisher and representative of the Story Club of Malawi, sponsors of the prize. Others on the Short Story prize panel include Beatrice Lamwaka, an award-winning Ugandan short story writer and Emmanuel Sigauke, a writer, editor, and longstanding member of the Writivism Council of advisors. Our very own novelist and memoirist, Akwaeke Emezi will chair the Koffi Addo price for creative non-fiction panel. She will be joined by Daniel Kalinaki, a journalist, biographer and CEO of Nation Media Group (Uganda) and Sumayya Lee, a novelist, editor and longstanding member of the Writivism Council of advisors. The eight judges for the Writivism Literary Initiative prizes for 2018 represent a diversity of backgrounds and the high standards that the two prizes aspire to. You can read the full profiles of all the judges below. Beatrice Lamwaka is the founder and director of Arts Therapy Initiative, a non-profit organisation that provides psychological and emotional support through creative arts therapies. She writes articles, short stories, poetry, and is working on her first adult novel. Her collection of short stories, Butterfly Dreams was launched recently. She is a recipient of 2011 Young Achievers Award. She was shortlisted for the 2015 Morland Writing Scholarship, the 2011 Caine Prize for African Writing and was a finalist for the South African PEN/Studzinski Literary Award 2009. The anthology of short stories, Queer Africa: new and collected fiction (2013), which includes her short story, won the 26th Lambda Literary Award for the fiction anthology category in 2014. Her writing has been translated into Spanish, Italian and French. Sumayya Lee was born in Durban and spent part of her childhood in the UK. She has worked as an Islamic Studies teacher, Montessori Directress and Teacher of English as a Foreign Language. Her debut, The Story of Maha (Kwela, 2007) was shortlisted for the Commonwealth Writers Prize for Best First Book – Africa and longlisted for the SundayTimes Fiction Award. She judged the 2016 Writivism Prize and is also the Mentoring and Residency Liaison at Writivism. Please note that the deadline for submissions to the 2018 Writivism Prizes is 31 March, 2018. The annual Writivism Prizes are awarded to unpublished writers living in African countries for original fiction and nonfiction (2500 – 3500 words) and each prize is worth $500 worth. The prizes also comes with a residency opportunity for the winner to edit a manuscript that is then put under consideration for publishing by Black Letter Media. All shortlisted writers will be invited to the annual Writivism festival in Kampala and their stories will be published by Enkare Review and Munyori Literary Review. This is the year of being intentional about our writing; so how about this insight we found on Bella Naija to get you totally inspired. Not only is the interview inspiring, it provides useful tips for those who are ready to do the work. I remember the day I earned NGN182, 600.00 (or $550) in a single writing project on Upwork. If you could make 182, 000 naira in a single writing job, you could build a career from your skills. You could quit your day job today, and eat three protein-rich square meals every day. In fact, you could even start traveling within Nigeria for sightseeing in places like Obudu, Tinapa, and Yankari National Park. Nobody can earn that much. Nobody. Or can they? When I called my friend and colleague, Jamila, earlier in January, and told her, “I want to earn 1 million naira this year,” she laughed out loud. An average freelance Nigerian writer like my friend would tell me, “Well, you can make it,” even though deep inside their heart they have some doubt. I myself didn’t believe I could achieve that feat. 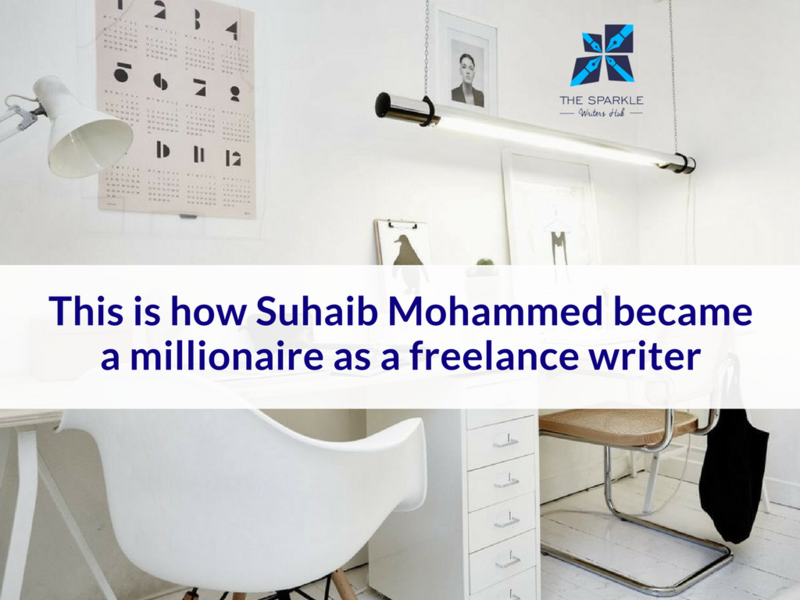 I struggled to find gigs using a number of strategies: cold pitching, email pitching, guest posting, etc, I ended up earning NGN0.00 from all of these tactics. I nearly quit freelancing altogether. Then I returned to a freelance marketplace, thanks to gig economy. On Upwork you’ll get to meet and talk with millions of clients from different parts of the world. The site is competitive, yes, and many clients prefer to hire “native speakers only.” However, with three million jobs posted annually, there is high probability you could get hired—if you put up some hard work and think like a real entrepreneur that you are.For me, I’ve been on Upwork since 2011, but I quit shortly afterward, as I wasn’t happy with my low earnings and some negative reviews (my terrible writing provoked some US clients). Poor me! But here I’m again: Back on Upwork, ready to cut my own share of the freelance economy, armed with a new strategy and a bold, clear goal: Make 1 million from my freelance writing business. On Upwork, or any online marketplace for that matter, you’re competing with native speakers, smart, Internet-empowered contractors from First World countries. These guys are really deep. They are the masters of their craft, and the only way to win over them is for you to become the master of your craft, too. • I read three blogs in my industry every day. • I write 1, 000-word article every day. • I publish on world-class blogs (Entrepreneur.com, HuffingtonPost.com, Addicted2Success.com, etc.) to grow my “writing confidence” and build my brand identity. Sharpening my writing skills has helped me get many repeat clients who will hire me again and again, making me cash top dollars in no time. How do you convince clients to hire you on Upwork? Because it’s not easy. With more than 12 million freelancers on Upwork, I’m used to applying for a job alongside other 27 bidders—mostly from the US and UK—all of us vying for one job. One single writing project. I don’t tell a client anything about my experience in my winning proposal. I don’t brag about my viral post on Entrepreneur. I see you’re looking for an experienced article writer to complete an existing project! Your work reminds me of one of my previous projects. The client was looking for a blog post in the finance niche that will engage their audience. Knowing that the only way to engage an online reader is by telling them stories that stir their emotion, I wrote succinct words that not only engages but stir some emotions, inspire readers to take action: Sign up to my client’s newsletter. You can take a look at the article here: [insert the article link]. Will you be available for a quick 5 minutes Skype call/chat? I earned a lot of jobs from this type of proposal. Finally, I added more services on top of my writing. Because I have been writing for quite some time, it was not difficult for me to repackage my writing and content marketing skills and re-position myself as an established content marketer, offering multiple services: from editing and proofreading to copywriting and guest posting to blogger outreach. It’s all about critical thinking. 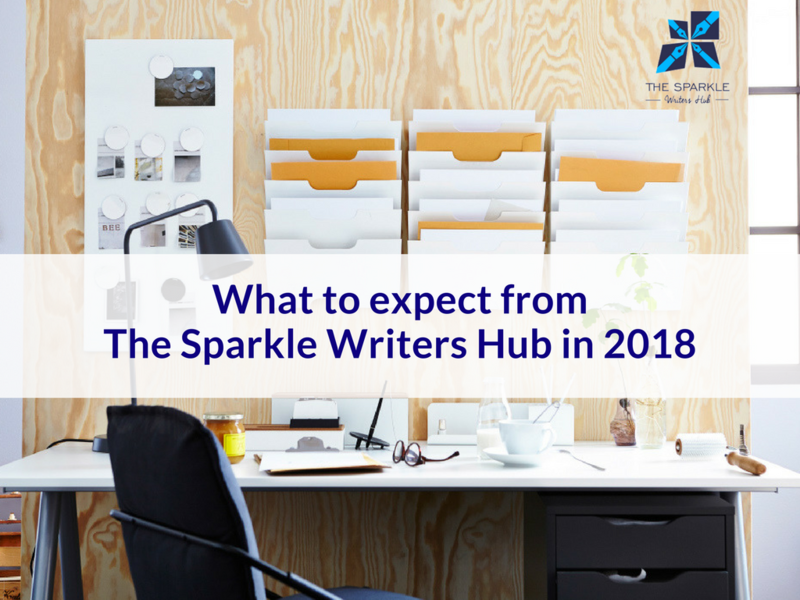 Here’s what to expect from The Sparkle Writers Hub in 2018! Happy New Year Sparkle Writers! How are you finding 2018? Have you been able to write anything since the 1st or you are still planning to write something? Whatever the case is, you know we’re always here to motivate you and keep you consistently inspired to write. This year, we have some special things lined up for you which are geared towards making you a much better writer and helping you to achieve your writing goals for the year. There’s just one thing we need from you aside from your commitment – forget about what didn’t happen last year. We don’t want to know whether you were unable to improve your writing skill last year or publish your book. This is a brand new year. Let go of the failures of 2017 and look forward in anticipation of the successes and achievements of 2018. Ok. Let’s get right into the good stuff! Drum rolls please. Introducing The Sparkle Writers Pro! We’re excited to officially launch our support group for writers, Sparkle Writers Pro. For everyone who wants to seriously improve their writing skill or you need constant motivation to help you achieve your goals, this group is just perfect for you. Daily writing tips and motivation geared at helping you to exercise your writing muscles consistently. Weekly Facebook/ Instagram live taught sessions from successful writers, authors and publishers. Weekly/ monthly writing challenges to help you master the art of writing. Information about writing opportunities to help you build your brand as a writer. Trust us when we say this support group is going to be exciting! Most importantly, you will learn and be positioned to achieve your writing goals, no matter how big it is. Access to this group costs N10,500 for one month access, N31,500 for a year access (Yes, one year!) and N5,250 for one-off access (one day). If you enroll for any of our courses, book a one-on-one session with our writing coach or you attend our monthly class in January, you will be added to the support group free of charge. This is our New Year gift to you! To join The Sparkle Writers Pro, please click here or send an email to sparklewriterspro@gmail.com. You asked and we listened. 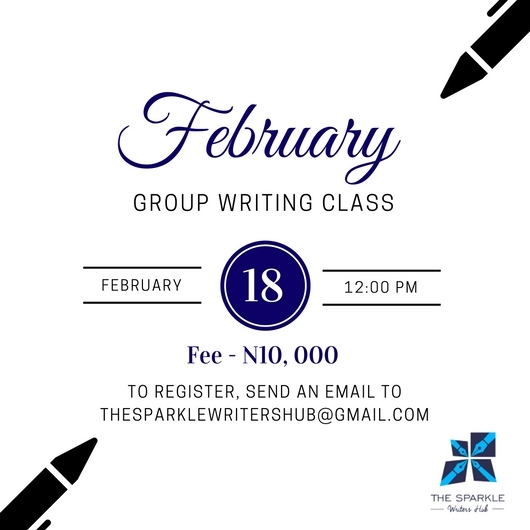 Starting from this month, we will have monthly group writing classes (every third or fourth Saturday of the month) where you can brush up your writing skills, have access to our writing coach and you will also have the opportunity to network with other writers. The class costs N10,500 and we will only be able to take a maximum of six writers per class. The writing class for January will take place on Lagos (Mainland) on Saturday 27th January by 10 am. To register, please click here or send an email to thesparklewritershub@gmail.com . Of course, aside from this you can be sure that our daily dose of inspiration on social media and valuable content for writers on the Sparkle Blog will continue. Here’s to an amazing 2019 with lots of achievements for you as a writer. 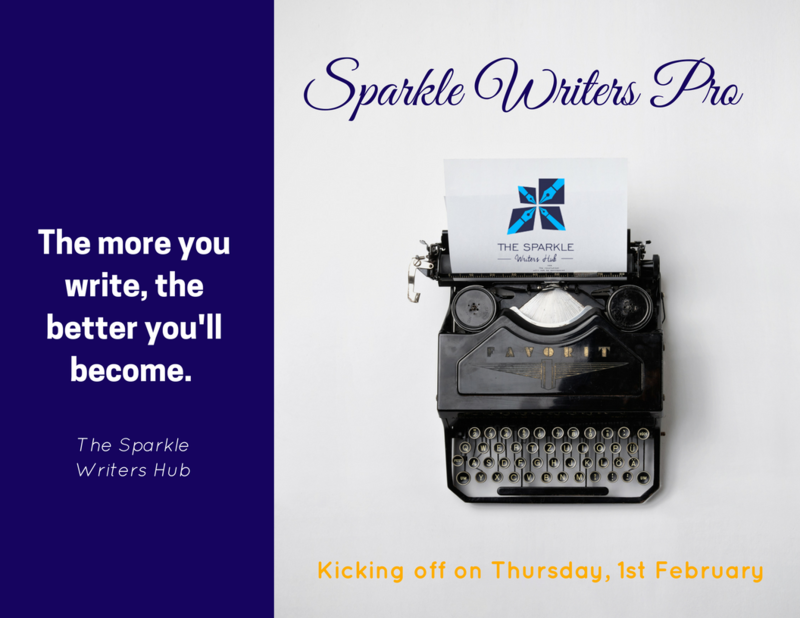 PS – Don’t forget, you will be added to The Sparkle Writers Pro Support Group free of charge when you book a writing coach, enroll for a course or coaching program or you attend a group writing class this month. 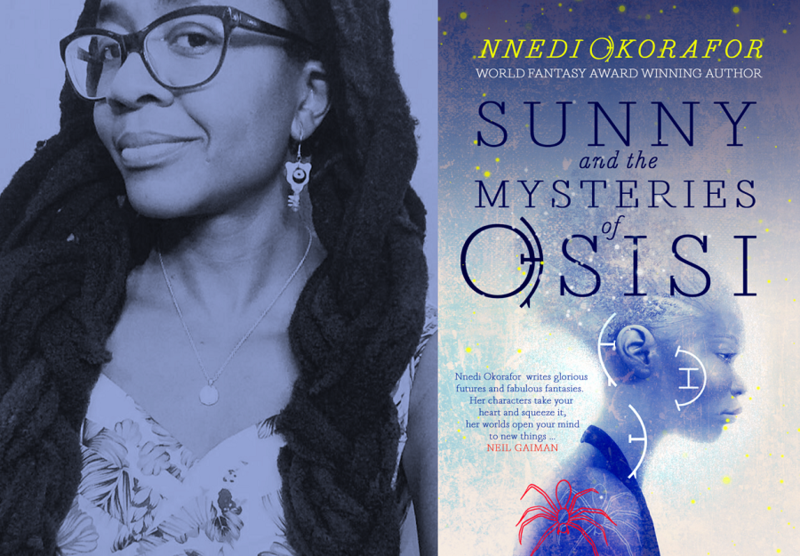 Cassava Republic Press recently revealed the cover for the African and European edition of Sunny and the Mysteries of Osisi by award-winning fantasy writer Nnedi Okorafor and we are totally in love with it. 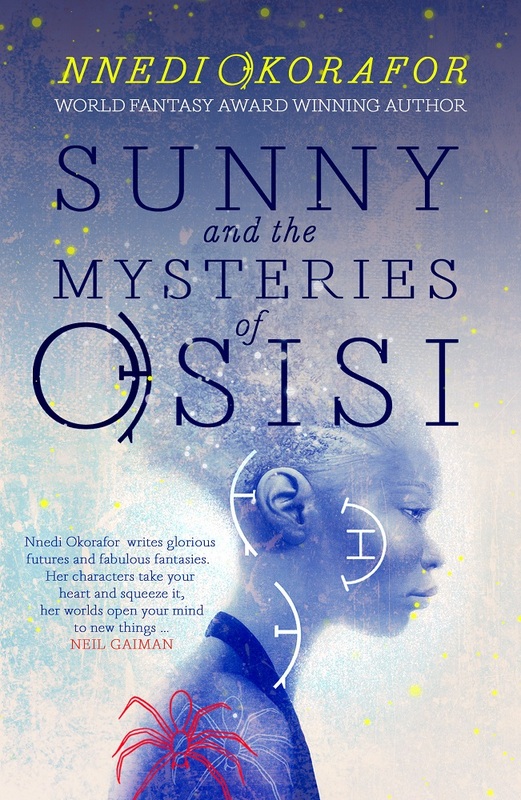 The spellbinding sequel to What Sunny Saw in the Flames, published as the Akata Witch series in the USA takes us one year into the future, as 13-year-old Sunny Nwazue continues her juju training in Leopard Knocks, a city in Nigeria inhabited by magic wielders. With the help of her friends and her mentor, Sugar Cream, Sunny must harness her newly discovered powers to defeat Ekwensu, a terrifying lake monster who is determined to usher in the apocalypse. If that wasn’t complicated enough, Sunny must do all of this without revealing her true identity to her family. We sure can’t wait to grab a copy of the second installment of the YA fantasy series! 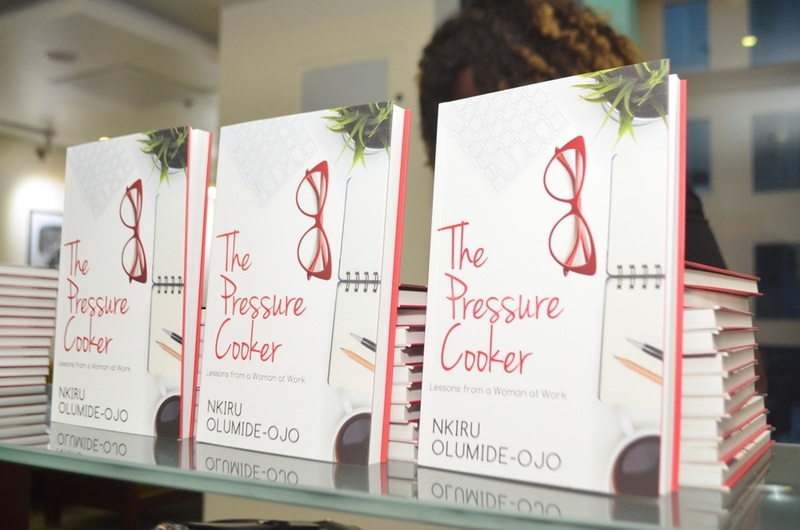 Olumide Popoola’s book launch takes Lagos by storm! 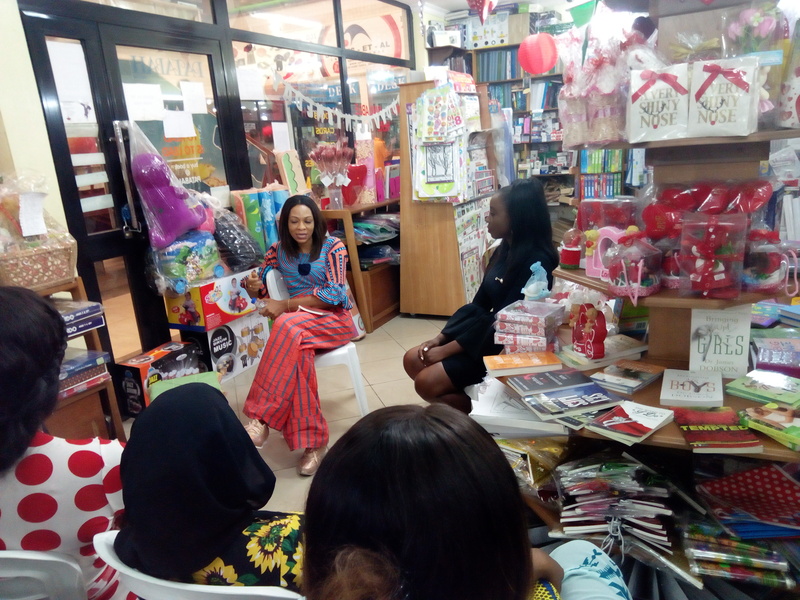 On Thursday, 16 November 2017, When We Speak of Nothing, the debut novel by Olumide Popoola, was launched in Lagos, Nigeria, to a crowd of book and art lovers at Colours in Africa, 13a Musa Yar’Adua, Victoria Island. The event saw Popoola read from her novel, which was published by Cassava Republic Press. She also gave an intimate explanation of the inspiration behind the book – which has so far been critically acclaimed for its beautiful use of language and exploration of friendship between two young black boys. Popoola explained that Esu Elegba, a Yoruba trickster god, was the inspiration behind the book and that the novel is voice driven and marked by its use of stream of conscious. Afro-soul singer, OloriAfrica, thrilled the crowd far into the night while fiery spoken word and rap artiste, Ms Eva Johnson, performed series of poetry that intimately explored gender, feminity and love. The book launch was anchored by Classic FM #BookOnReview host, Benjamin Okoh. See pictures from the launch.